We&apos;ve seen a number of companies slinging bands that turn the latest iPod Nano into a full-on wrist watch, but none have been as extravagant, or expensive, as ZShock&apos;s latest offering. 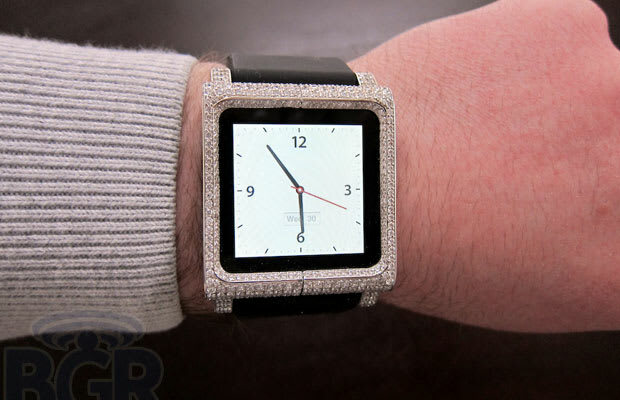 The ZShock Lunatik iPod Nano watch band features a fully diamond-encrusted bezel that takes three to four weeks to make, and will run you $18,000. And that price doesn&apos;t include the actual iPod—you gotta bring your own Nano. But what&apos;s $150 when you&apos;re dropping the price of a Honda Civic on a watch?